YAKIMA, Wash. — A Washington man who took the life of a missionary student in 2016 in a random drive-by shooting has been sentenced to 27 years behind bars. Saul Rios, 29, was sentenced on Thursday after entering a guilty plea on March 8. In October 2016, Trae Oyler, 20, was returning from working with children at Madison Community Youth Center with three of his friends when Rios pulled up next to the car and fired three shots into the vehicle. Oyler was struck in the neck and died of his injuries, while the others were unharmed. Oyler, who is from Pennsylvania but moved to Washington to attend Antioch Christian Training School (ACTS), was planning on taking the gospel to Thailand on a two-year mission. His family lives in Waynesboro, Pennsylvania and is part of the Old German Baptist Brethren Church, New Conference. “One of Trae’s greatest passions was children and teaching them about Jesus, which is what he was doing before God called him home,” his obituary reads. Nearly 40 of Oyler’s friends and family attended the sentencing of Saul Rios on Thursday. Oyler’s mother handed her son’s personal Bible to Judge David Elofson and requested that it be given to Rios. Kenneth Oyler said that forgiveness is a process for the family, and that weekends—when the pace of life slows—are the hardest. He noted that Saul in the Bible was a persecutor of Christians, but God turned his life around. He wished the same for Saul Rios. “If we wanna get to the bottom of this, we’ve got to fix people’s hearts—and until we fix hearts, that courtroom is going to keep filling up,” he stated. 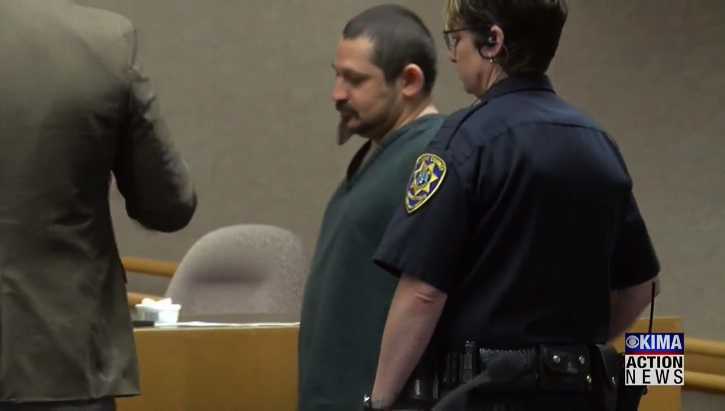 The Yakima Herald-Republic reports that one of their journalists spoke to Rios via a video connection following the sentencing, and Rios held up the Bible that Oyler’s mother had given him.